The centers are staffed by doctors, nurses, health educators, mental health counselors, and other student support staff. 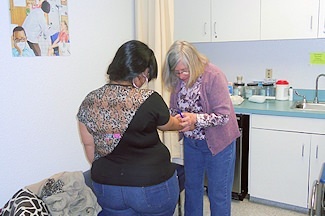 Numerous community partners contribute to the success of these centers, including Stockton Unified School District, San Joaquin County Health Care Services, San Joaquin County Public Health Services, Point Break Adolescent Resources, Child Abuse Prevention Council, Community Medical Centers, UnseenXS, and Valley Community Counseling Services. Student interns from University of the Pacific, Stanislaus State, and Sacramento State also provide services and programs. Services can be accessed on regular school days from 7am-3:30pm. The Edison and Stagg Health Centers can only be utilized by students enrolled at Edison High School or Stagg High School. Please call (209) 444-8300 for enrollment information. 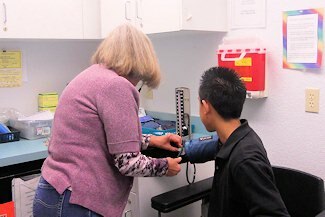 Delta Health Care provides free sports physicals for Stockton Unified School District athletes. Sports physicals are conducted throughout the school year on the Edison, Stagg, Chavez, and Franklin High School campuses. Athletes from SUSD Charter high schools and Specialty high schools are welcome at these clinics. Please call (209) 444-8300 for information on sports physical clinics. Delta Health Care is a proud grantee for the Personal Responsibility Education Program (PREP) sponsored by the Maternal Child and Adolescent Health Department at the State of California Department of Public Health Services. The health education program provides an evidence-based curriculum to teens in traditional high school, alternative school, and juvenile hall settings. The 6-hour curriculum is taught in one day, over two days, or over 3 days. Teens receive a gift card for completing the entire course, which focuses on teen pregnancy and STD prevention, birth control methods with an emphasis on condom use, healthy relationships, and personal responsibility for sexual health. Please call (209) 444-8300 for more information on scheduling a PREP presentation at your school site.